Welcome remarks. There are materials for making signs, etc. 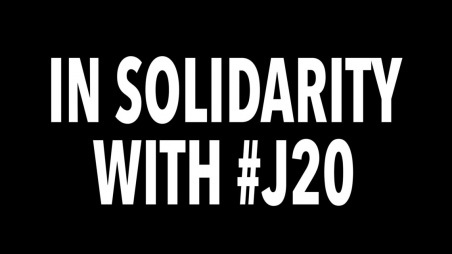 for the marches on J20 and J21—you are welcome to bring your own. Food is generously provided by Court Street Grocers. Organizers and activists are invited to come and give three minute breakdowns of what they are working on and where these efforts stand at the moment. If you would like to sign up, you are welcome to add your name to the list on the day of. Invitation to join the march from Foley Square. *41 Cooper Gallery is an accessible, family-friendly space. Any questions please email: vlc@newschool.edu with the subject line "Dispatch Party."